Real Estate Investing Advice: Should You Buy a Beach Condo? If your family loves going to the beach, you might think about purchasing a beach condo to do away with the hassles of looking for a vacation rental. One rule of real estate investing though is to not give in to impulse buys. Here's how you can know if a beach condo is a good investment. Have you ever thought about buying a place at the beach? When the temps start rising and the days grow longer, it's easy to imagine why you would want to spend more time on the shore. And, a beach condo can be a great investment when you aren't using it yourself. About this time each year, people begin putting up seaside properties. In fact, during the spring and summer, you're more likely to find more properties near the sea than any other time of year. But, according to Coastal Living Magazine, you may want to wait another month or two before signing any contracts. Reports indicate that real estate prices for beach towns tend to drop in early fall. Wondering if buying a beach condo would be a good investment for you? Read on to find out what you need to know before buying a place at the beach! There's a reason why America's favorite vacation destinations are found along our country's coasts. Relaxing in the sand, ocean views as far as you can see, breathtaking sunsets...who doesn't love spending time at the beach? How many times have you dreamed of owning your own place at the beach? If buying a beach condo has always been on your bucket list, maybe it's time you took the plunge. Coastal Real Estate is Making Waves Across the U.S. Beaches everywhere are popping up in headlines and annual top ten lists as summertime approaches. When the summer season heats up each year, people start thinking about buying a beachfront condo where they can soak up the sun and watch the waves roll in. The ocean bordered states are known for having some of the most sought-after real estate in the nation. According to Zillow Research's 2018 top ten list of most popular neighborhoods in the U.S., nine can be found in the coastal state of California. 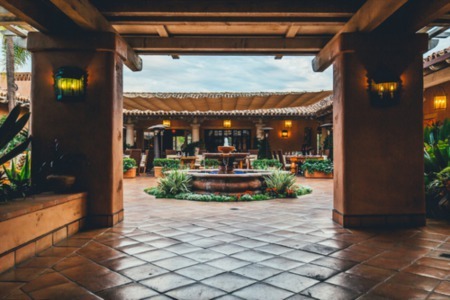 California is famous for its luxurious seaside communities like La Jolla, Del Mar, Solana Beach, Cardiff, Encinitas, Pacific Beach, Carlsbad, and Coronado. The Golden State has lured in dozens of today's hottest celebrities. While Hollywood's A-listers could easily afford to live anywhere they choose, many settle in California. Not everyone is able to pack up and move to the beach full time. But even if you can't live there year-round, owning your own beachfront condo may still be within reach. Think that buying a beachfront condo is out of your price range? Recent findings for the coast's real estate may make you reconsider. If you were to drive along our nation's coast, you might be surprised how reasonable real estate prices are in many of these highly-sought surfside communities. In places like Florida's oceanfront town of Fort Lauderdale, real estate values are at an all-time high. Fort Lauderdale has traditionally played second fiddle to Miami's old-Hollywood glam. However, development here has recently flourished. More people are flocking to Fort Lauderdale's beaches than ever before. Affordability is just one of the reasons that Fort Lauderdale real estate is gaining attention nationwide. Less than a decade ago, Miami properties were just 25% greater than Fort Lauderdale's. But, according to Forbes Magazine, the price difference between the two popular beach towns rose to 261% in 2016. But, Florida's not the only place you can find affordable beachside real estate. Redfin's 2017 report titled The 15 Most Affordable Beach Towns for Real Estate names beach towns from coast to coast. The report includes towns in New Jersey, California, South Carolina, Texas, Maine, and Virginia as top picks for reasonably priced beach properties. No matter where you decide to buy a beachfront condo, it's possible that you could reap a return on your investment. But, if you want to be sure of your condo's earning potential, there a few things that you should consider. If you are buying a beachfront condo for the sand and surf, it's hard to go wrong. But, if you are buying as an investment, you will need to be more selective. Making a good investment takes some effort. But, even a first-time investor can score a good buy if they spend their money wisely. Here is a run-down of what you need to know before you close the deal on your beachfront condo. When you are buying a place to live, you want to be sure the location will meet your needs. Your decision may be based on an area's school system, the square footage, crime and safety reports, convenience or a wide range of other factors. When you are choosing a rental property, the location is important, too. But, the deciding factors are usually a little different. Is the area located within a reasonable distance from your primary residence? There may be times when you have to tend to matters personally. One way to avoid this is to hire a property manager if the location is not easy-to-reach within a few hours. You will need to either live in relatively close proximity or hire someone that you trust to deal with on-site emergencies and other property-related tasks. You should also consider the appeal of the property to your target audience. When you own a beachfront condo, you may want to screen renters to avoid irresponsible or immature occupants. Keep in mind that the beach is a prime destination for the high school and college spring break crowd. If your beachfront condo contains valuable furnishings, you should definitely secure a deposit that will cover any incidental damages that may occur. Some areas cater to groups of young singles, while others are geared towards families and couples. Then, there are some areas that offer a peaceful, quiet pace and natural scenery as the main attractions. Areas that are family-friendly or popular party venues tend to stay busy during peak seasons, but the right condo will rent in other places, too. Does the surrounding area feature happening nightclubs, an amusement park, stately historical homes, or a popular state park? A good look around will tell you a lot about who you will likely be renting your property to. Is the location a popular vacation destination? If so, it will tend to require less marketing to obtain business and you can be more selective in who you choose to rent to. Beaches always have something to offer vacationers. According to TripAdvisor, 13 of the top 15 most popular summer vacation spots in the U.S. are located near beaches. 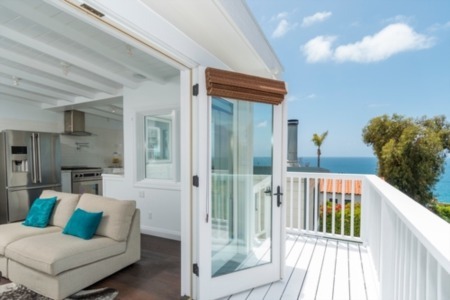 Not surprisingly, California and Florida are two of the states mentioned in the list, which names the top 25 most popular summer vacation rental spots. California and Florida are well-known for beautiful beaches and these states tend to be highly-sought during holidays and the warmer months of the year. Other, lesser-known beach sites may not get the same level of attention as the towns in California and Florida. Before you buy a beachfront condo, thoroughly research all of the costs associated with the rental, including mortgage payments, utility estimates, insurance, homeowner association fees, maintenance, and upkeep. You should always have a condo inspection so you will be aware of any immediate, potentially costly problems that might need attention. In order to create a profit which will sustain your purchase throughout the year, you will need to earn the amount of the total annual costs. Many people who rent out a beachfront condo depend on renters during peak season to cover expenses for the rest of the year. These are the times when you will have the most interest. Planning a strong marketing strategy around these periods is advisable. When rates are highest and rentals are booked, you probably won't be able to spend much time enjoying the property yourself. But, property owners know this is the price they must pay to profit off of their investment. Determine how much money you will need to make to cover the costs of the condo year-round. This will tell you how much you should aim to earn. Anything above that amount will go towards your annual profit, just as anything less will result in a loss for the year. When you own a beachfront condo, hurricane season can pose a dangerous threat to your property. And, even major thunderstorms can be risky. Even if you have full insurance coverage, a major hurricane can cost you. Not only that, but you will need to keep a constant check on the weather and arrange for necessary precautions to be taken prior to storms. Also, you or someone else will need to be available after major storms to check out your property and assess damages, should they occur. Uncooperative weather can cut into a property owner's time and money. And, these types of natural disasters are rarely foreseeable until just days or hours before a storm. This should not be the thing that dissuades you from buying a beachside condo as highly destructive storms seldom occur. But, it is something that you will need to keep in mind and have a plan in the event one should occur. When looking to buy a beachfront condo, it's crucial that you find a realtor that you can trust completely. You will need an honest, experienced professional to clue you in on the area, the rental potential, crime rates, and other vital information prior to making a purchase. You will also need to feel confident that no information will be withheld during the search or sale process. Research expertise in the area and find an agency that has received positive reviews. You can also review their website, which provides a wealth of insight regarding a company's knowledge and reputation. Discuss the questions that you want to be answered and ask for their unbiased, expert opinion regarding properties in the area. An experienced realtor should be able to provide a rental history, comparative data from near-by units, financial upkeep estimates, condition and age of a property, appliance purchases and repairs and more. Sometimes, a beachfront condo may not turn a profit during the first year. It might even take a few years, or longer before your investment begins earning an income. Although beach properties tend to fare better than rentals in many other areas, the amount you can earn is not guaranteed. Usually, a professional real estate agent and substantial research can give you a close estimate of how much earning potential a beachfront condo will have in the first few years. But, in the event that you do not earn as much as expected, you must be prepared to cover any out-of-pocket expenses. This is the reason that you should be diligent in the search process prior to closing on your new condo. Making sure that no stone goes unturned will help equip you with all you need to make an informed and wise decision. Owners of beach rentals often stand to gain much more than they will lose. A beachfront condo has the potential to be an excellent long-term investment. Over the course of many years, you could easily earn several times what you paid for your investment. Not only that, but most owners of beachside real estate enjoy the added bonus of having a vacation home for their personal use. When considering the costs, you should also factor into your decision how much you will be saving on vacation expenses. While you might have spent several thousands of dollars vacationing in past years, owning a beachfront condo can reduce this amount significantly. Finding the perfect vacation rental to purchase can take time. But, in the end, you will likely find that the process is well worth it. A beachfront condo often offers owners many perks that don't always come with other types of dwellings. Today's luxury condominiums are furnished with top-notch amenities and appliances, swimming pools, a fitness gym, on-site activities, a professional housekeeping and management staff, and more. If you are considering purchasing a beach condo in San Diego or one of San Diego's oceanfront homes for you and your family, get in touch today.